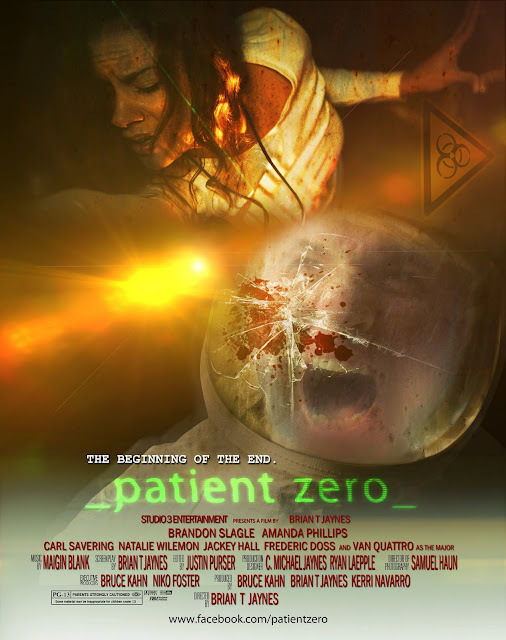 Check out the early artwork and plot for writer/director Brian T. Jaynes (Humans Versus Zombies) next flick PATIENT ZERO that has an impressive indie cast that includes Amanda Phillips, Brandon Slagle, Natalie Wilemon, Jackey Hall, Frederic Doss, Carl Savering and Van Quattro. The movie is produced by Bruce Kahn, Kerri Navarro, Jaynes and Niko Foster. We'll keep a close eye on this one because if it's anything like the awsome HVZ then it's going to "genetically" rock, if the plot is any indication below! I smell mutants!